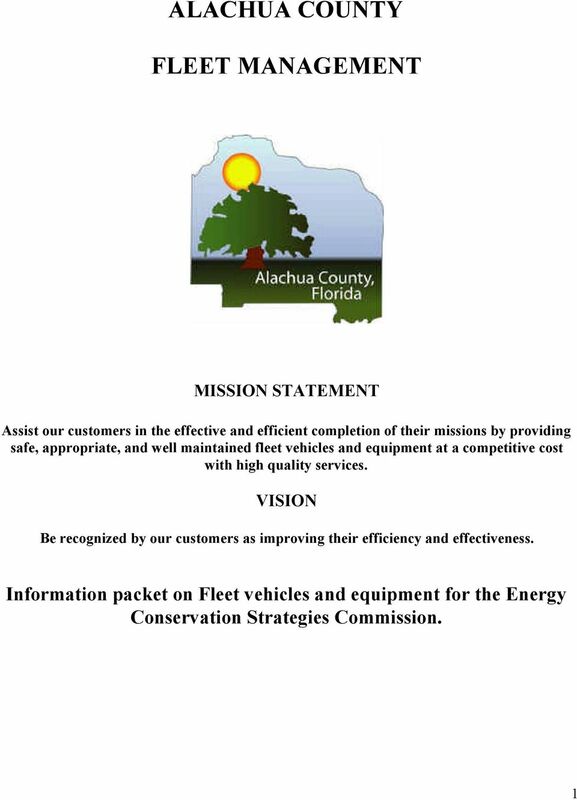 Download "ALACHUA COUNTY FLEET MANAGEMENT"
Fleet Management. 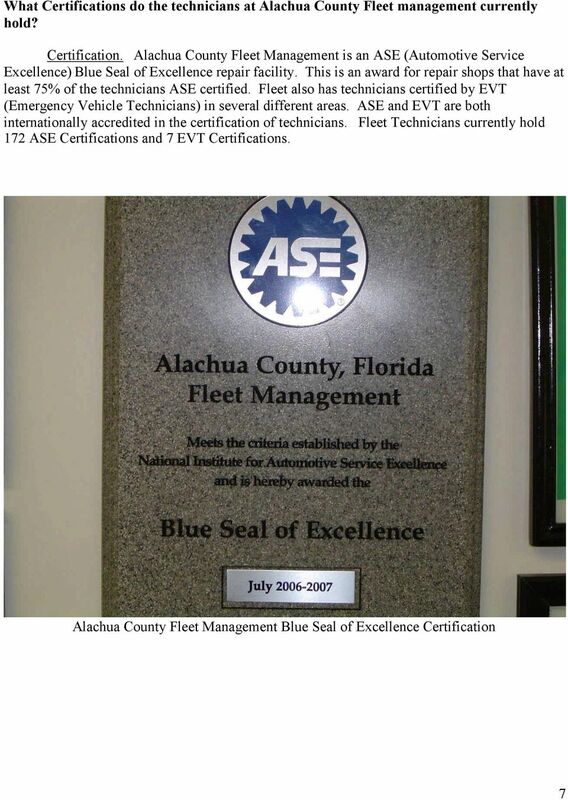 Fleet Management is responsible for supporting the transportation and equipment needs of Pinellas County. 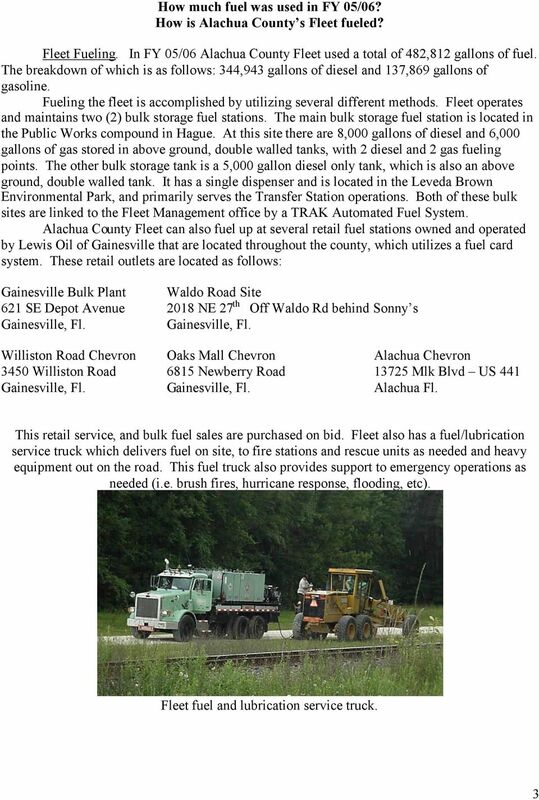 COUNTY OF GREENVILLE EQUIPMENT MANAGEMENT SYSTEM I POLICY The equipment management system provides detail and management information about replacement and operation costs for the County s rolling equipment. 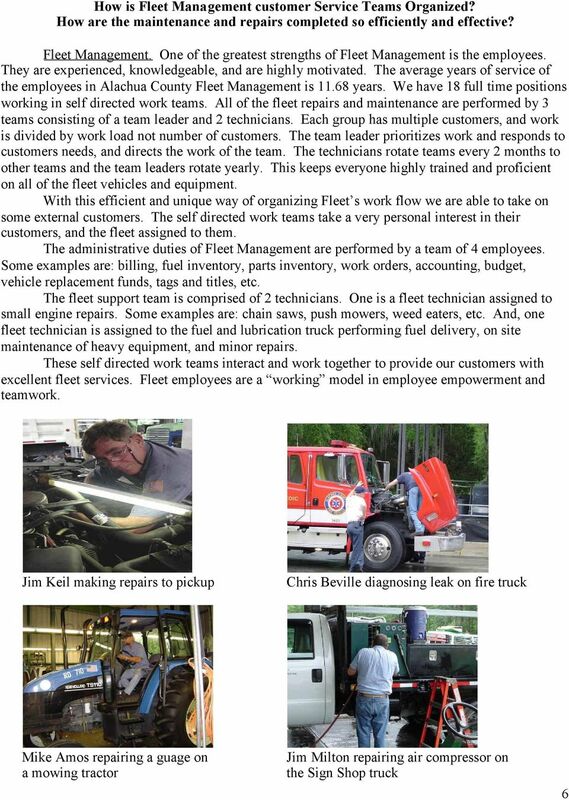 FLEET MANAGEMENT. Fleet Management s motto is If you make the time for us, We will make the time for you. 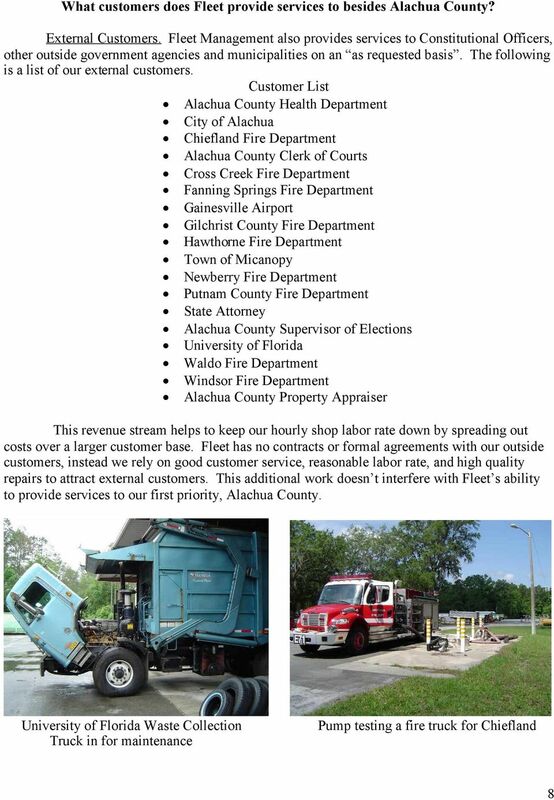 COX FLEET PUSHES FOR A BETTER BOTTOM LINE PROS OF USING 3RD-PARTY MAINTENANCE DEAN FOODS GETS GREEN DO YOU HAVE A TOP-LEVEL MAINTENANCE SHOP? FLEET MANAGEMENT. 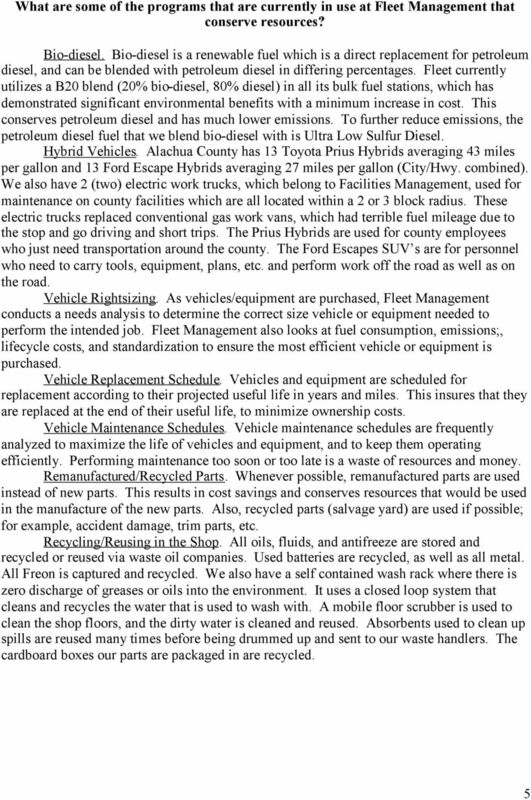 SASHTO NEW ORLEANS, LOUISIANA Tuesday, August 26 th 2014 10:30 a.m. 12:00 p.m.
OFFICE OF MANAGEMENT AND ENTERPRISE SERVICES FLEET MANAGEMENT DEPARTMENT ADMINISTRATIVE RULES OAC 260:75 Including revisions effective Sep 12, 2014 Notice: The rules found on this Web site are unofficial. 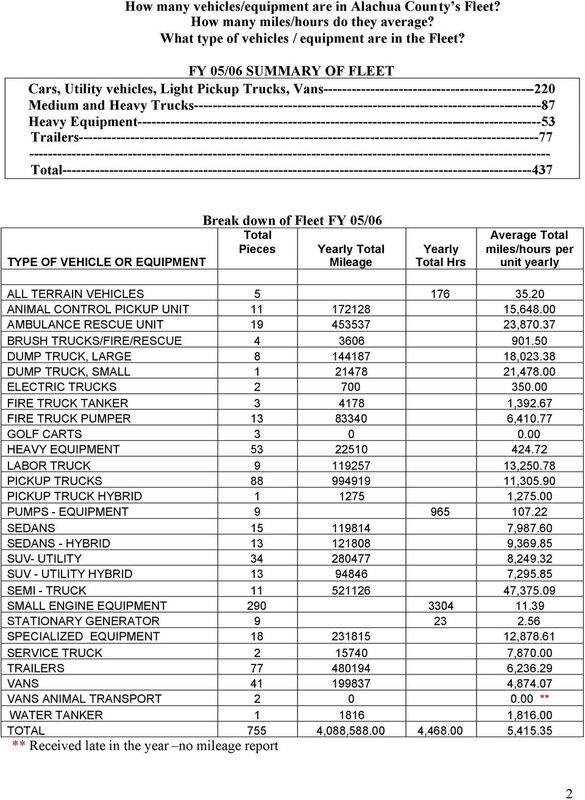 Vehicle Buying Overview GSA Automotive www.gsa.gov/automotive. Right Vehicle, Right Price, Great Service!